If you’ve been following ESPN, you might have seen some familiar faces recently. 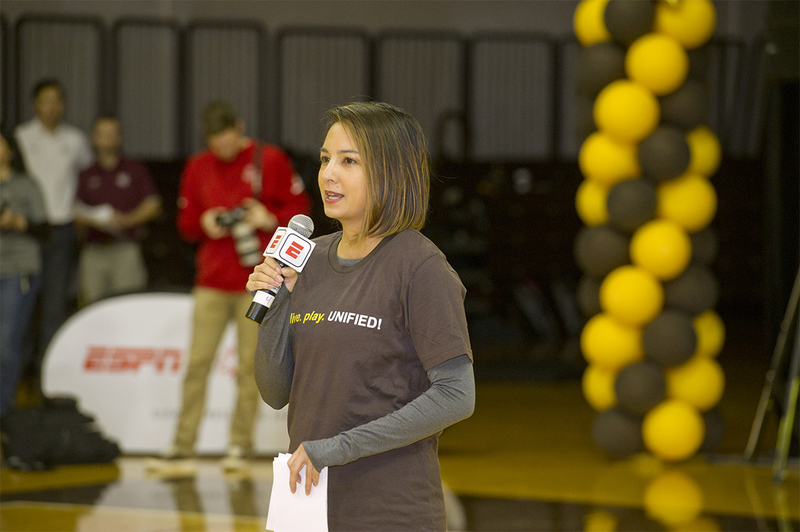 The network was on Rowan University’s campus on November 3 to recognize their significant contributions to Unified Sports. The banner presentation at the Rowan REC Center was celebrated with a pep rally, Unified basketball game, and inspiring speeches. Rowan’s Unified Sports program was founded through campus recreation seven years ago; at the time it was the first program of its kind in the U.S. It’s been growing ever since. ESPN, in partnership with Special Olympics, released the ESPN Honor Roll for 2018, choosing the top 30 schools from across the nation out of hundreds of banner Special Olympics Unified Champion Schools. A banner Unified Champion School is a campus that meets the ten national standards of excellence for inclusion. These ten standards are then broken down into four distinct categories — Special Olympics Unified Sports, inclusive youth leadership, whole school engagement, and sustainability. To become a banner school is an incredible accomplishment on its own, but ESPN took it a step further in creating the ESPN Honor Roll, which recognizes 30 schools who were going above and beyond to make their campus inclusive. While most of these schools were middle and high schools, Rowan and the University of Mississippi were recognized in this list. Congratulations, Ole Miss! Then, out of these 30 schools, ESPN chose five schools that truly define what it means to be a Unified Champion School. Rowan University was among those top five! NIRSA’s Director of National Sport Programs, Valerie McCutchan, was invited to attend the celebrations and represent NIRSA as an honored guest. “The excitement level in the gym was electric. Everyone there – from the current students who packed the bleachers on a Saturday morning to the Rowan Unified Sports alums who came back to witness this honor – was a true testament to just how much momentum there is surrounding the movement for inclusion,” she says. 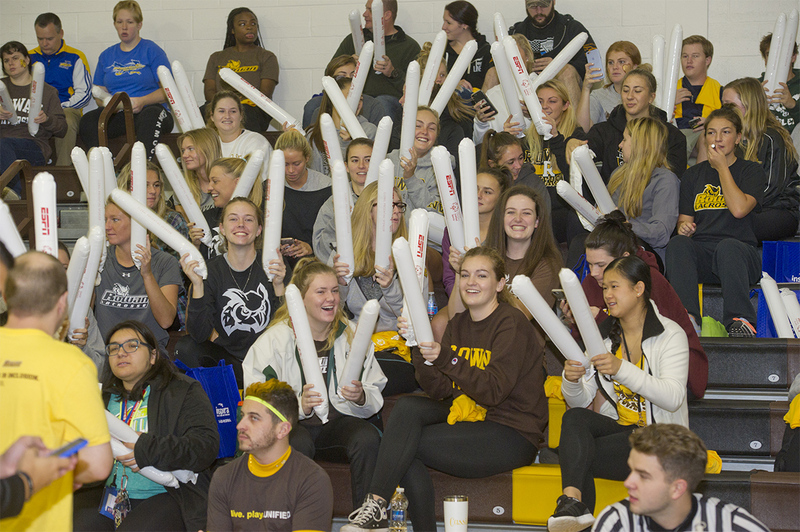 As the Unified Sports movement continues to grow on campuses from coast to coast, Rowan’s leadership will continue to be key in helping model the type of student development that comes from this opportunity. The development of cultural competencies through inclusive practices is a skill set ever more relevant as our students graduate into tomorrow’s leaders and world-shapers. For more information, please contact NIRSA Director of Sport Programs Valerie McCutchan or NIRSA Director of Advocacy & Strategic Partnerships Erin O’Sullivan.